Episode 1. 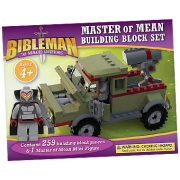 Melting the Master of Mean (An Adventure in Kindness) Jimmy and his older brother witness the Biblevan getting into a traffic accident. But wait—was it really an accident? 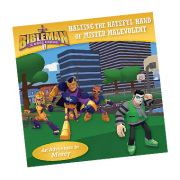 Uh-oh, the Master of Mean is on a rampage to destroy Bibleman and his entire team, and this villain doesn’t care who he hurts or what he breaks in the process. 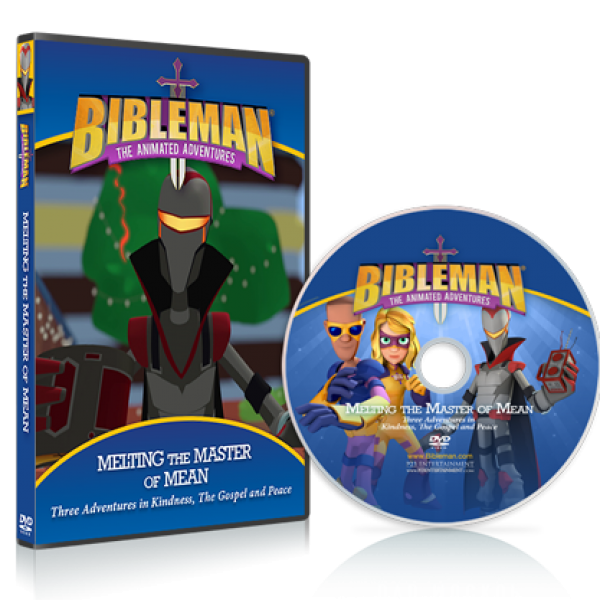 Based on the Bible story of Mephibosheth, this adventure offers a lesson in kindness. Episode 2. 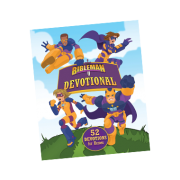 The Mayor of Maybe Doles Out Doubt (An Adventure with the Gospel) Bibleman answers a distress call from a pastor on a Caribbean island. A stranger is handing out free “Bubba Gum” to all the kids, and it’s causing them to severely doubt their faith! 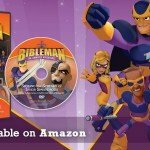 Good thing Bibleman isn’t ashamed of the Gospel: he knows it is God’s power for salvation to all who believe. Based on Peter’s Pentecost sermon, this adventures offers a lesson in the Gospel. Episode 3. Dr. Fear’s Almost Perfectly Disastrous Day (An Adventure in Peace) Nobody wants to be a patient of Dr. Fear, but that doesn’t stop him from planting seeds of fear all over Whispering Pines Christian Camp. 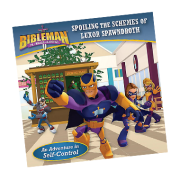 Will the Bibleteam figure out why all the campers—and even the counselors—are paralyzed with fear in time to foil the Doctor’s nasty plot? 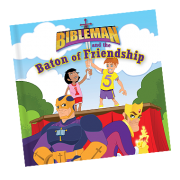 Based on the Bible story of Jesus calming the waves, this adventure offers a lesson in peace. These are all great stories! 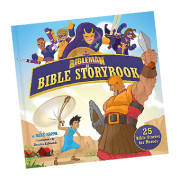 Tonight after our grandson watched the dvd, in his prayer he prayed and asked the Lord to help him learn more of the gospel. 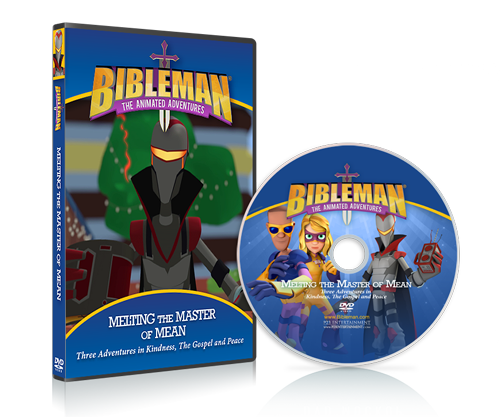 As a grandmother, it touched my heart and I plan to buy all the series to help our grandkids grow in Christ. Melting the Master of Mean is a good DVD. 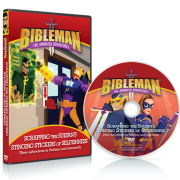 And I love how these videos have really good lessons that help me memorize scripture!